On the Tip of My Paintbrush: E-Book Giveaway! Danielle’s book, “On the Tip of My Paint Brush,” includes a variety of painting techniques with different types of paint, such as chalk paint and milk paint. If you’ve ever wanted to try your hand transforming furniture, you’ll want a copy of this e-book! 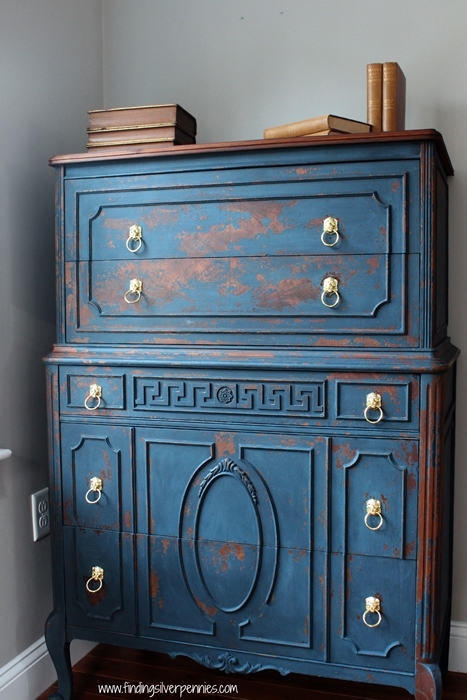 This is my all-time favorite piece of furniture that Danielle transformed with milk paint. 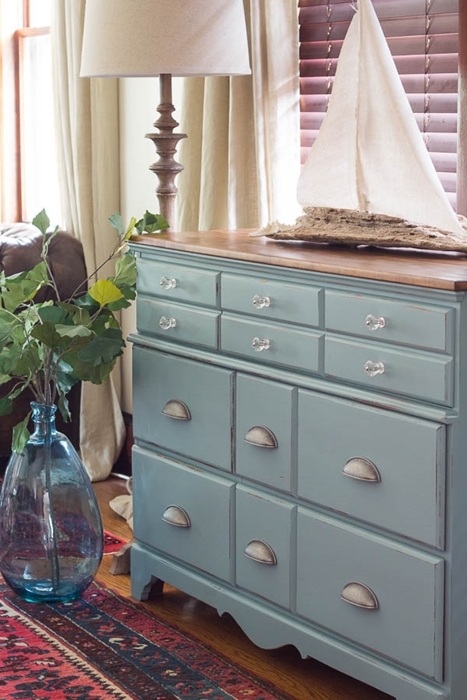 I’ve yet to use milk paint myself, but I’m reading Danielle’s tips about it in her book and will soon be using it on a couple dressers in our guest room. 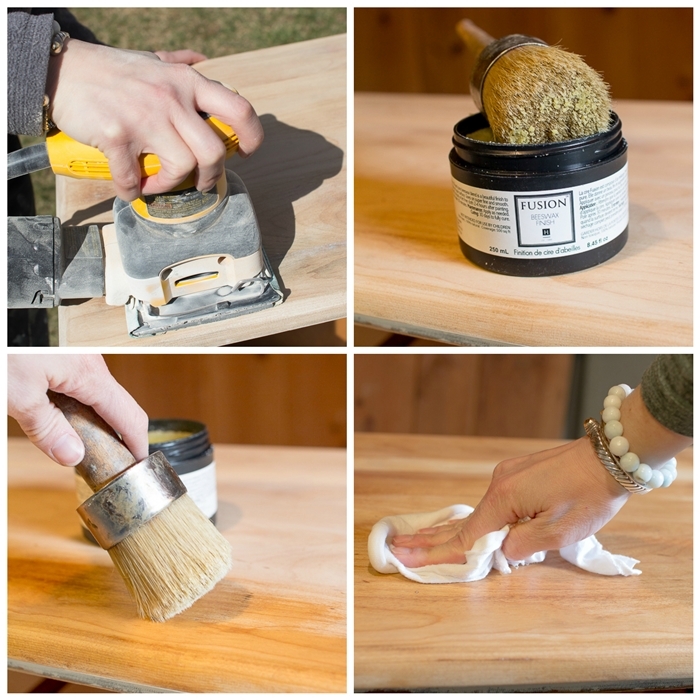 This image is from the book and shows how to apply milk paint. Here’s another gorgeous dresser that Danielle gave new life to. Note her creative use of drawer knobs. Clear glass on the top drawers and finished cup pulls on the bottom drawers. Some people don’t give much thought to hardware on furniture, but it can really make a difference. Danielle includes plenty of close-up shots in her book, which is crucial when you’re trying an application for the first time. Distressing furniture is something I struggle with. How much sanding and distressing is too much? I tend to be conservative when I distress my own painted furniture, but I seem to prefer more heavily distressed pieces. I think I’m just not brave enough to keep sanding (either that or I’m lazy). Note the use of layered paint colors on this piece of furniture … gray underneath and white on top. Danielle discusses layers of paint in the book. Danielle’s beautiful home is filled with her painted pieces. It’s so fresh and inviting! 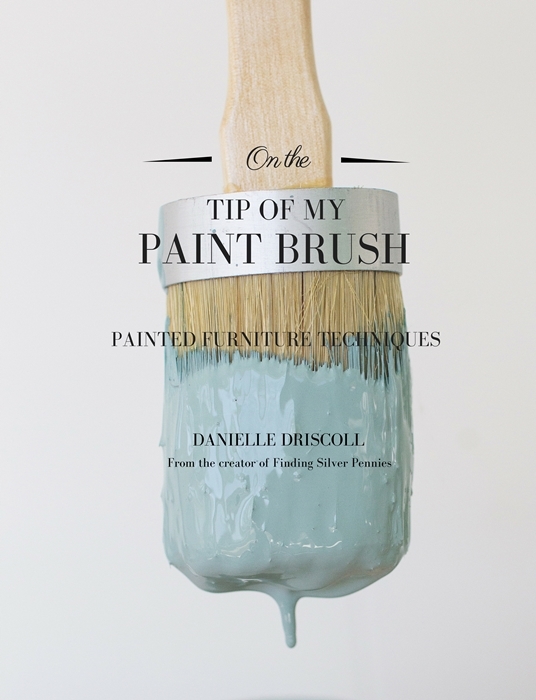 You’ll find oodles of inspiration within the 154 pages of “On the Tip of My Paint Brush.” You won’t believe all the tutorials Danielle includes for transforming your own furniture into works of art! I know I’ll be scouring the pages and practicing for months to come! To enter to win this inspirational e-book giveaway, simply leave a comment below. You can learn more about the contents and order it online, too. Special thanks to Danielle at Finding Silver Pennies for providing this fantastic giveaway! The winner will be announced next Monday, July 11th. I would love to win this book! I’ve done a little painting, but I’d love to learn more. We have several pieces of furniture to update and this book would be such a great help! Hi! Based on your “snippets”, this book looks awesome! I’m getting ready to paint my kitchen island, which is 34 years old and solid oak, and I’m sooooooooooooo afraid I’ll mess it up. I need some help! Just talking to a friend of mine about painting a piece of furniture she was not happy with. I would love to win the book to give it to her. I would love to have this book. I usually prefer chalk paint but have been trying my luck at milk paint and could use the tutorials. I would love to win this book. Thank you for the opportunity. This book sounds like a wealth of information! I am very much a beginner at painting furniture. I love the look. This book would be such a help. Thank you for the chance to in it. I’ve painted several pieces of furniture in our home but would love to take it to the next level. Loved the pieces in your pictures! I have refinished many pieces of furniture. 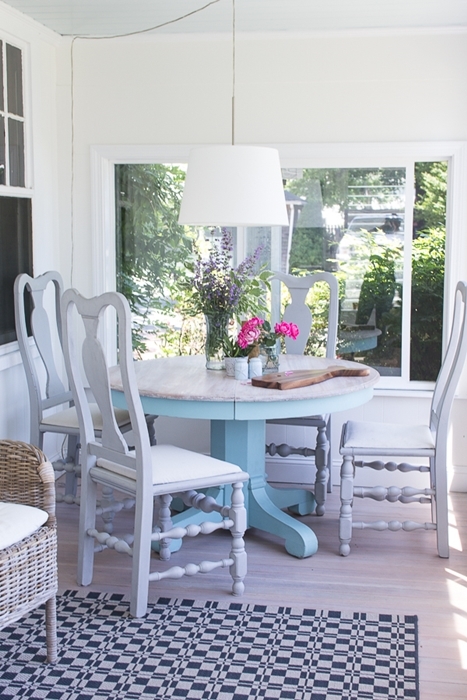 I have yet to use milk paint but I am inspired by the pictures in this article! Hope I find a new piece of furniture soon so I can give it a try. I love the country/vintage look. This book looks amazing! I would love to learn more from a pro! Thank you for offering this as a give-away. Would love to learn more about painting; especially about milk paint. Everything I have is old and needs something done. I’m hoping to win the ebook so I can get started. I will be retiring and will have the time to hopefully leave something for my children that they can be proud of. Books looks inspirational – hope I’m a winner. What a wonderful giveaway. I have many projects to do and the book would be a tremendous help. Thank you for the giveaway. Love your blog. Love these looks, would love to try them ALL! Thanks for the opportunity to learn. I’m 73 and still learning! Am just tickled pink that I have an opportunity to win this book! What fun to use these ideas to make something new again. I would love to win this book. I LOVE painted furniture and have a few pieces that I need to transform so this e-book would come in handy. I just checked out Danielle’s blog and signed up for more inspiration. Thanks for mentioning her blog. 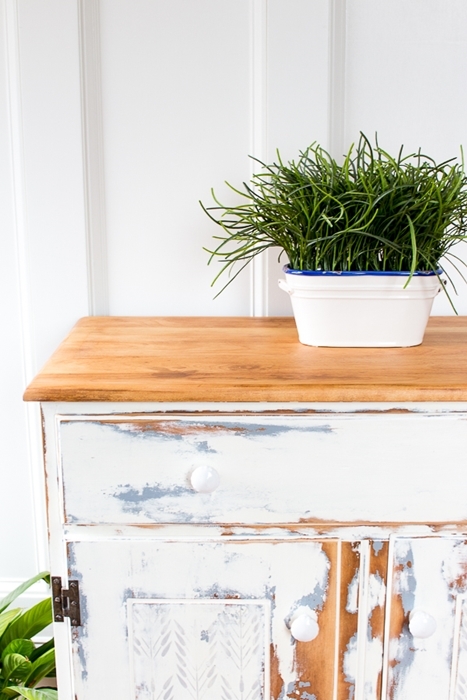 Use chalk paint and would love to learn about milk paint – seems this is the to-go place for that! We are planning to use some painted pieces in furnishing our new home. This e-book is very timely and would be so helpful in finishing some pieces myself. Thanks Jennifer for this offer. I have to laugh, though because years ago when we were starting to decorate our home, I would scour thrift stores and garage sales for wood pieces with chippy paint that I could take home, strip and refinish back to the natural wood. Change is good! I would love to win this e-book! And thanks so much for sharing this. 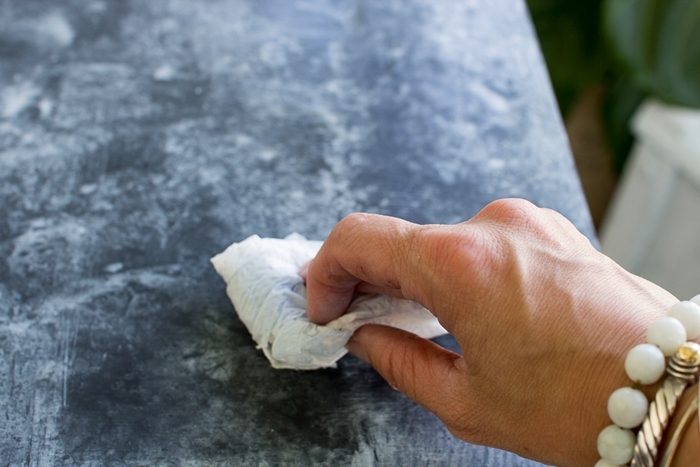 I have painted lots of furniture, but she has such great ideas and helpful tips. PS. Love your blog! I would love to win this book! Thanks so much! This book could really help with the projects I have. Would love to win it. I would so love to get better at painting furniture! Thanks for the opportunity to learn from your friend. I would love this as I love painted furniture and DIYs. Oh the book looks great. Would love to ein it. ???? 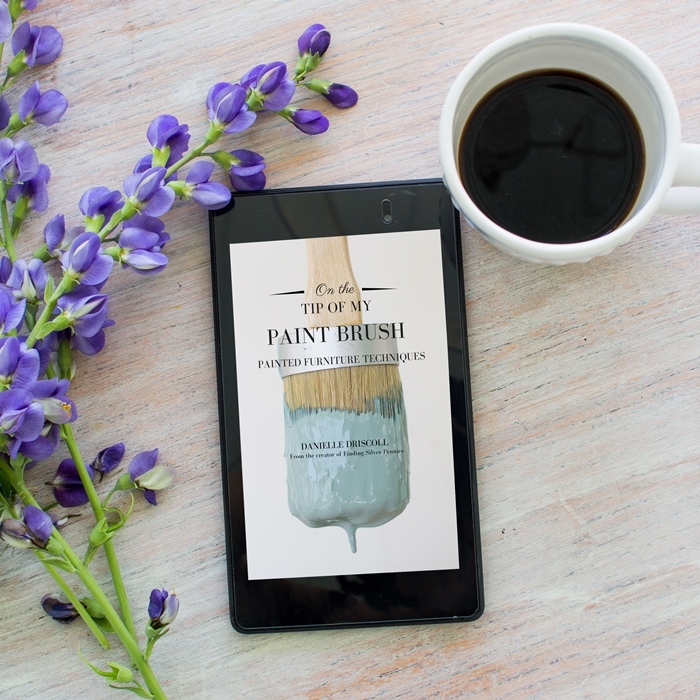 I would love a copy to boost my confidence in tackling some of the dressers, desks and tables that would be ideal to paint using the techniques in this e-book! 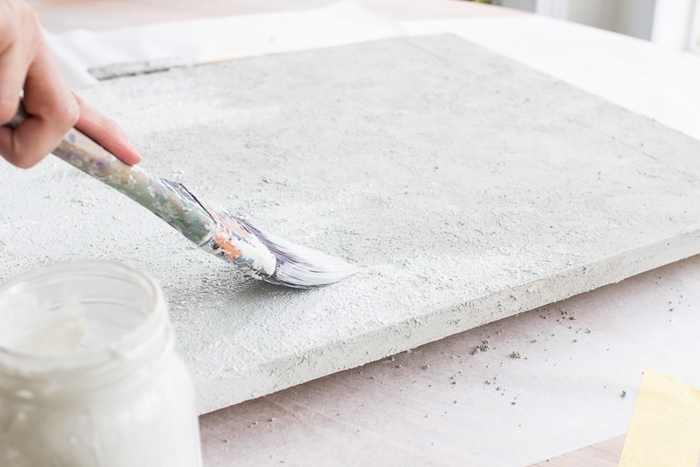 Would love to win the book… I’ve used both milk and chalk paint and welcome tips and advice from others. Wow what a glorious book to have! I would love to win! Luv painting furniture! Would love to learn some new techniques & this book would be the perfect place to start! This book looks like it would be so wonderful!! Would be a treat to win! Love both your blogs! I need to get serious about a whole lotta projects and Danielle’s book would be an inspiring shot in the arm to get started! We’re preparing to paint our kitchen cabinets for a redo – and I would love to read this book beforehand! Sounds like a really good book with a lot of good painting tips. Would love to win! I would love to win this book as I have a project waiting for me. I’ve dabbled, but would love to learn more about furniture painting. I would love to win this e-book. I’m contiplating painting my kitchen island and cabinets, thinking of doing the island in a different color than the cabinets. This would be a great help. Lovely photos and furniture pieces. Would love to win a copy of the ebook. Thanks for the opportunity! So excited for an opportunity to win your book! Love your work! I’m working on so many pieces, could use the knowledge and INSPIRATION???? I can already tell this is a great book and I would be more than happy to win it. So much great information! It would be great for me to have this book to get some ideas on how to paint furniture. I just received a fireplace that I would like to paint and I want to make sure that I do a good job on it. Thanks for this opportnity to win this wonderful e-book. I am addicted to trying all the many paint treatments and techniques. So much paint and so little time. Thank you for presenting these books to educate us as to what is out there.